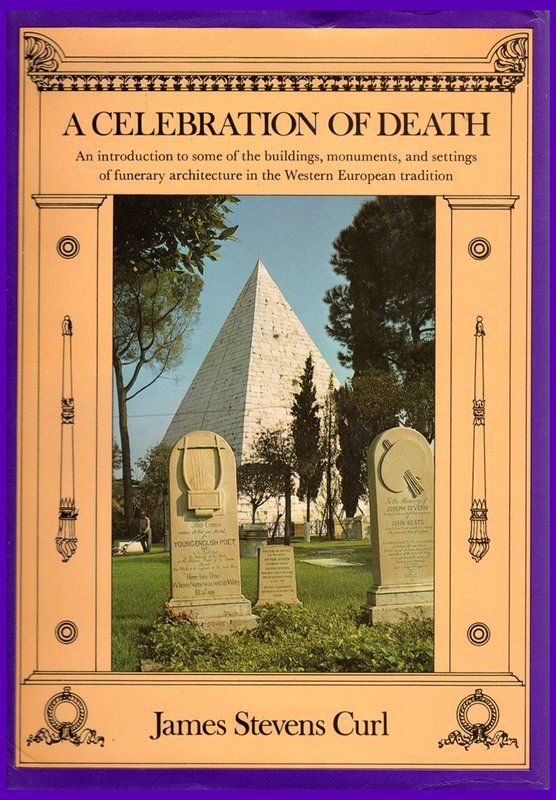 The subjects of funerary architecture, of commemorative structures, and of cemeteries, have suffered a curious neglect at the hands of recent writers until works such as this started to redress the balance and inform a whole range of new studies now eagerly pursued by younger scholars. 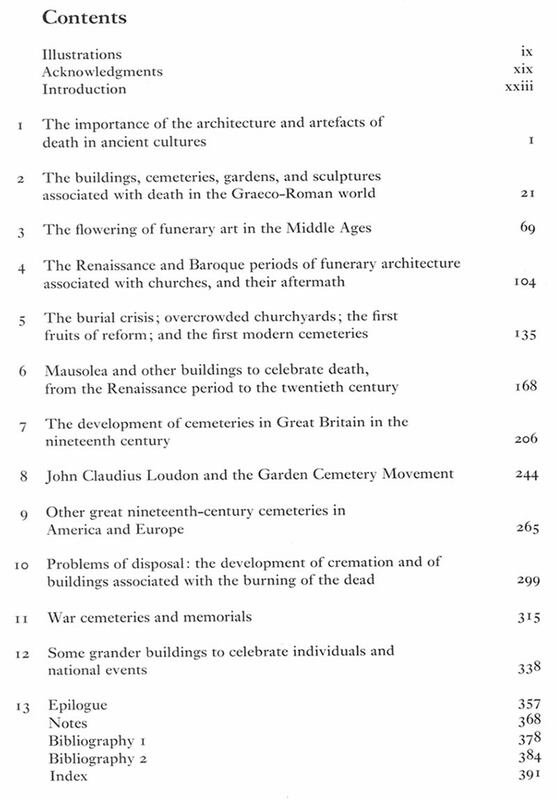 Travellers from Herodotus to Baedeker have sought out the tombs and mausolea of prehistory, of Classical, and of mediaeval times, but the cemeteries of London and of other great cities have largely been ignored by commentators. Is this, perhaps, because we play down death, robbing it of its significance, and disposing of our dead as we dispose of unwanted waste products? If so, this is a comparatively recent attitude, for even the Victorians invested Death with all due ceremony, and their monuments reflect belief in certain Resurrection. Today, those monuments are often neglected and vandalised: the ephemeral nature of life, of fame, and of love is obvious to the beholder of overgrown graveyards and wrecked monuments. 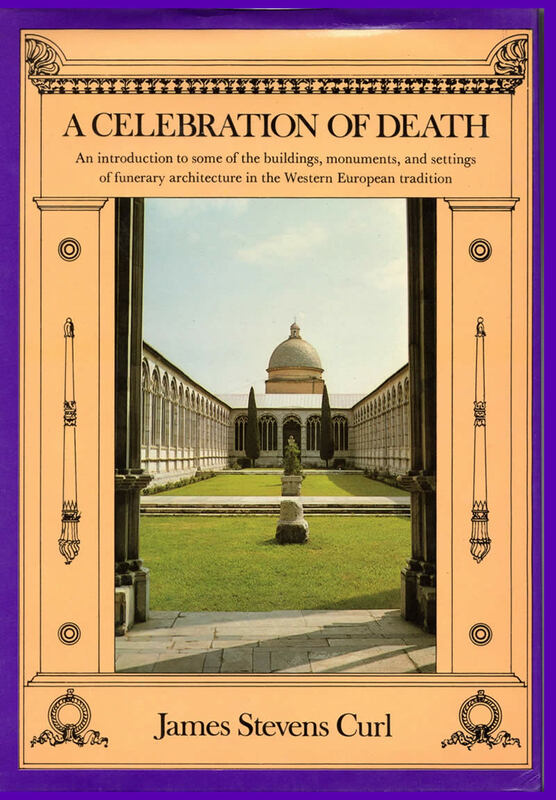 This comprehensively illustrated book was enthusiastically acclaimed when it first appeared, and remains a contribution to understanding the architecture of death. A second, revised edition came out 13 years later (London: B.T. Batsford Ltd., 1993, ISBN: 0-7134-7336-3 [pbk. 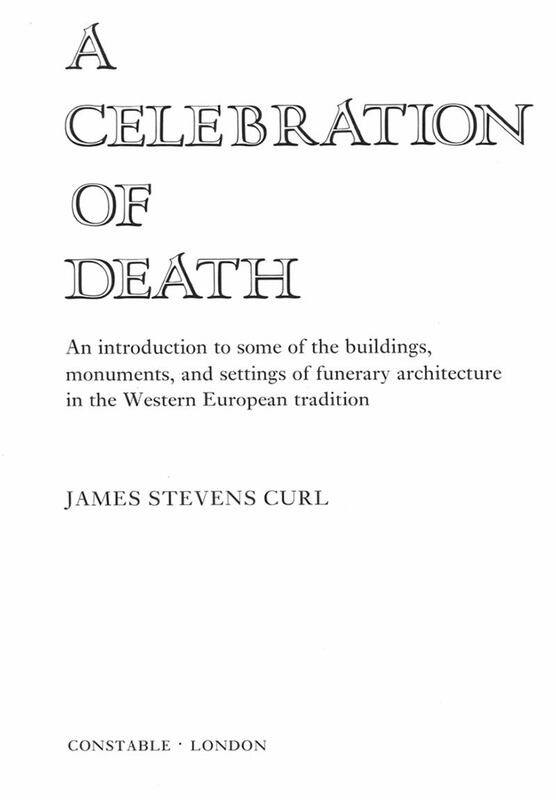 ]), and later still a further revised version entitled Death and Architecture: An Introduction to Funerary and Commemorative Buildings in the Western European Tradition, with Some Consideration of their Settings (Thrupp, Stroud: Sutton Publishing Ltd., 2002, ISBN: 0-7509-2877-8 [hbk. ]).